HostMonster or FastDomain Hosting: Which Top 10 Hosting Site is Better? HostMonster and FastDomain have a lot in common – both make it fast and easy to get your website online and offer super affordable rates. In fact when you compare the features and benefits of these two side-by-side, they look darn near identical. However, HostMonster does come with a few extras that you may find beneficial. We hope this information can help you choose the hosting service that is right for your webste strategy. 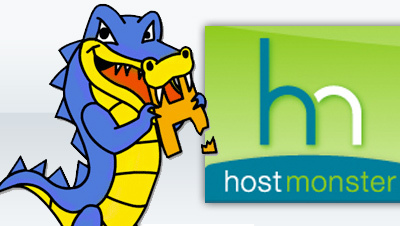 HostMonster or HostGator: Which Top 10 Hosting Site is Better? Trying to decide between HostMonster and HostGator? Both hosting services are popular choices, offering a number of flexible hosting plans, valuable incentives and excellent customer service. However there are some distinct differences. Which service is right for you? This article can help you compare the two hosting services so that you can make an informed decision as to which service best fits your web hosting needs.